I stopped by Fabric Depot this weekend to search for some plaid wool. 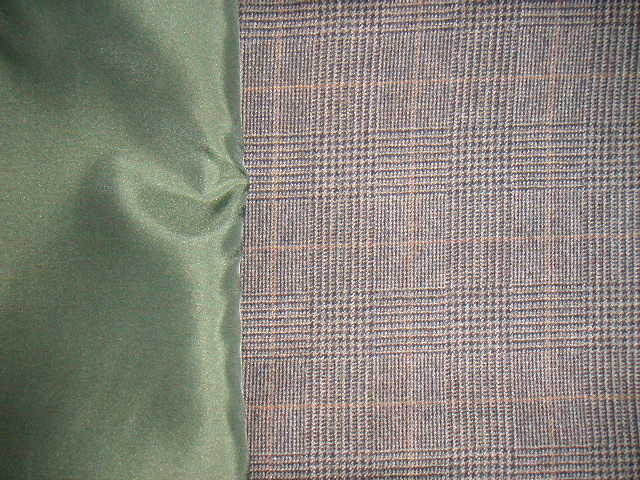 I found this grey plaid and chose an olive green lining. 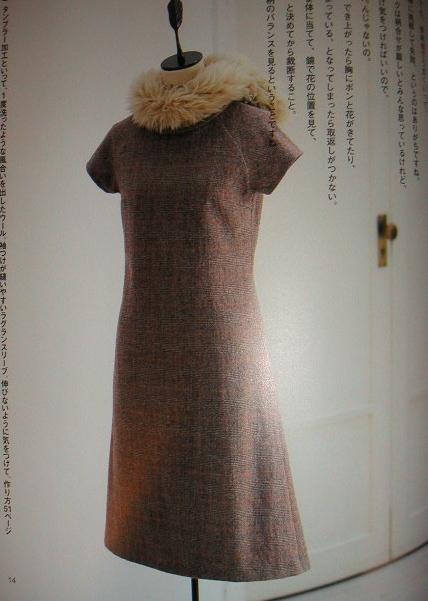 I knew I wanted to make a dress, but wasn't sure of the pattern. I found Simplicity pattern 3620, but they were out of my size. I really liked the cute V-neck jumper with the belt and pockets. After looking through some more patterns at home, I decided on this Machiko Kayaki short-sleeved dress from Sewing Talk. It's a simple four-piece pattern and the dress has inset seam pockets and raglan sleeves. I've had some fit issues with these Machiko patterns in the past, so I made the dress out of muslin to check the fit. It fit great but I took in about three-eighths of an inch on both sides of the back and shortened it about four and a half inches. I just altered my paper pattern and will cut out fabric tomorrow. Oooh, that is a super cute dress! Maybe you'll even wear this one, ha ha.